Have I mentioned I love those Etsy competitions? 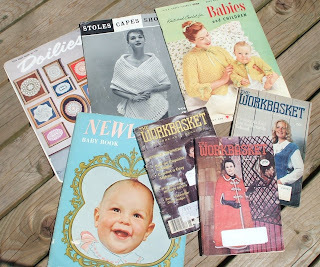 This morning a package came from www.coyotecraft.etsy.com , a fantastic selection of vintage knitting and crochet patterns to add to my collection. I always find them fascinating, they're a real glimpse of life in the past, and a reminder that there's very little new under the sun. I've already spotted a very nice little shrug, which people are telling us is brand new fashion!